When Boyajian’s team studied the star, they looked at data from a Harvard University archive of digitally scanned photographic plates of the sky from the past century or so to see if the star had behaved unusually in the past, but found nothing. Schaefer decided this unusual star deserved a second look. He averaged the data in five-year bins to look for slow, long-term trends, and found that the star faded by about 20 per cent between 1890 and 1989. “The basic effect is small and not obvious,” he says. The weirdest star in the cosmos just got a lot weirder. And yes, it might be aliens. 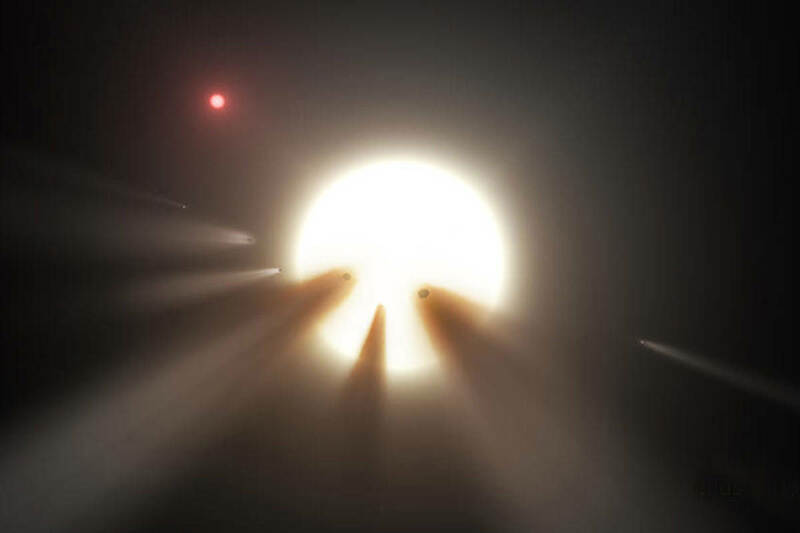 Known as KIC 8462852, or Tabby’s star, it has been baffling astronomers for the past few months after a team of researchers noticed its light seemed to be dipping in brightness in bizarre ways. Proposed explanations ranged from a cloud of comets to orbiting “alien megastructures”. Now an analysis of historical observations reveals the star has been gradually dimming for over a century, leaving everyone scratching their heads as to the cause. The first signs of this space oddity came from NASA’s planet-hunting Kepler space telescope, which continually watched the star’s region of the sky between 2009 and 2013. Most planet-hosting stars show small, regular dips in light when their planets pass in front of them. But Tabby’s star dipped erratically throughout the four years, sometimes losing as much as 20 per cent of its brightness. In September, a team led by Tabetha Boyajian of Yale University, who lends the star its informal name, tried to make sense of this unusual signal. Ultimately they determined that dust from a large cloud of comets was the best explanation. A month later, the star made headlines across the globe thanks to a paper by Jason Wright of Pennsylvania State University and his colleagues, who suggested that “alien megastructures”, such as satellites designed to collect light from the star, could be responsible for the signal. Now Bradley Schaefer of Louisiana State University has discovered that the mystery goes even further. When Boyajian’s team studied the star, they looked at data from a Harvard University archive of digitally scanned photographic plates of the sky from the past century or so to see if the star had behaved unusually in the past, but found nothing. “This presents some trouble for the comet hypothesis,” says Boyajian. “We need more data through continuous monitoring to figure out what is going on.” What about those alien megastructures? Schaefer is unconvinced. “The alien-megastructure idea runs wrong with my new observations,” he says, as he thinks even advanced aliens wouldn’t be able to build something capable of covering a fifth of a star in just a century. What’s more, such an object should radiate light absorbed from the star as heat, but the infrared signal from Tabby’s star appears normal, he says. "Tabby's Star" has dramatically dimmed and we don't know why. In the 4 years of Kepler's primary mission, the star showed an unprecedented dimming of 3.5 percent. So not only did Kepler detect transient dips in brightness of up to 20 percent, there also seems to be a very definite downward trend in brightness throughout our observational history of the star. ..none of these studies have been able to shake Wright's early speculation that some alien civilization could be constructing a massive star-encompassing structure. And now, with these dimming observations, could it be that we're seeing a megastructure as it's being built? 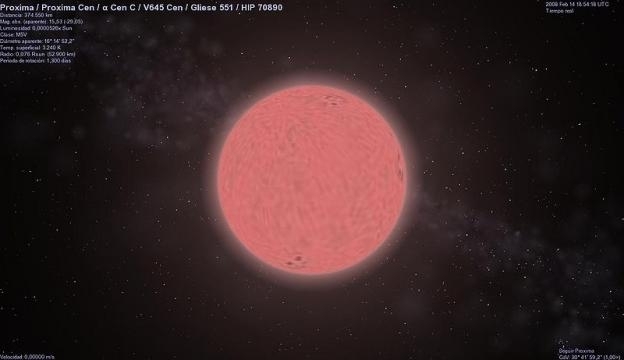 You're probably all too familiar with the story of KIC 8462852, a star that's been the focus of much speculation and excitement over the past few months. KIC 8462852 was observed by NASA's Kepler mission and has become infamous for its bizarre and unprecedented transit signal that was flagged by citizen scientists. Now new research of precision Kepler observations has shown that the overall brightness of the star -- unofficially named "Tabby's Star" after astronomer Tabetha S. Boyajian who discovered the peculiar signal -- has been decreasing, which poses a new and confusing problem for astronomers trying to understand what the heck is going on. Kepler's prime mission is to look for small worlds that pass in front of their parent stars causing a slight dimming of starlight. The "transit method" has been hugely successful and has confirmed well over 2,000 planets orbiting other stars in our galaxy. But Tabby's Star's transit signal, otherwise known as a "light-curve", stopped astronomers in their tracks. Something passed in front of it, dimming its starlight a whopping 20 percent and other jumbled transit signals revealed that something wasn't quite right with this particular star. Then, in an interview with The Atlantic, Penn State University astronomer Jason Wright speculated that the signal could be indicative of an "alien megastructure" that's in the process of being built. You can catch up on the controversy surrounding the anomalous signal in my recent Discovery News article "Closing In on 'Alien Megastructure' Clues." So, until now the leading (natural) explanation of the strange light-curve has focused on the possibility of a huge swarm of comets passing in front of the star, blocking a substantial portion of starlight from Kepler's optics. Recently, this hypothesis was given a little more credence after observations by the Submillimeter Array and the James Clerk Maxwell Telescope in Hawaii revealed little evidence it might be caused by the debris cloud of some planetary smashup. But the "swarm of comets" explanation still fell short of fully explaining the phenomenon, though for now it remains the leading rationale. All this uncertainty has only boosted speculation surrounding the (unnatural) explanation: that an advanced alien civilization is building some kind of Dyson Sphere-like structure around a star to (perhaps) collect solar energy for all of its energy consumption needs. In this scenario, pieces of the alien array are passing in front of the star, causing the anomalous transit signal. Of course, scientists being a rational bunch think there's a more likely explanation for the light-curve, but aliens will always hog headlines. After studying photometric observations for other stars surrounding KIC 8462852, there's no other star that shows such dramatic behavior. What's more, there's very few known phenomena that could be causing this. So once again, astronomers are clutching at straws in an effort to explain what is going on. "Broadly speaking, the morphology of the light curve is generally consistent with the transit of a cloud of optically thick material orbiting the star," Monet and Simon write in their paper. "The breakup of a small body or a recent collision that could produce a cloud of material could also plausibly produce a family of comets that transit the host star together as one group, explaining the light curve..."
However, like all rational explanations for the behavior of KIC 8462852, there's an infuriating "but." According to the researchers, for the cloud theory to hold true, it would need to be orbiting the star at "impossibly large distances" from the star or would need to have a strange structure that increases in density as it transits across the face of the star. This poses a challenge and they say that the idea is far from complete. Though the majority of studies are focused around trying to understand what caused the dramatic transit signals -- Swarm of comets? Planetary smashup? -- these explanations don't really help when trying to understand why there's a dramatic long-term dimming. Could this new mystery be explained away by some bizarre cloud of dust? Or is it down to some unknown stellar physics gone wild? Regardless, none of these studies have been able to shake Wright's early speculation that some alien civilization could be constructing a massive star-encompassing structure. And now, with these dimming observations, could it be that we're seeing a megastructure as it's being built? You know in my humble opinion the energy it takes to travel between the stars is so great I think any reasonable civilization would rather invest in the home world and spend all that resource on their own star system rather than use it to go to another one. At least at the current technology level that we are at this seems to make sense. paperburn1 wrote: You know in my humble opinion the energy it takes to travel between the stars is so great I think any reasonable civilization would rather invest in the home world and spend all that resource on their own star system rather than use it to go to another one. At least at the current technology level that we are at this seems to make sense. Even if a Sonny white type warp drive is possible you may have a point. "Wormholes" require lots of energy too...maybe if you had a network of "dyson swarms" they could be used to power a network of wormholes connecting the afore mentioned multiple dyson swarms with each other. Like an interstellar rapid transit across maybe hundreds or even thousands of light years between well developed systems; much faster than a warp drive even assuming their possible. This one we seem to be (maybe) seeing might just be the leading edge of what may be dozens or hundreds of swarms; this particular one just part of the leading edge that happened to be oriented the right way for us to see it. One or more alien species could have been working on them for uncounted tens or hundreds of thousands of years. Does anyone know where the system's planetary orbit plane would be? If it aligns with our sun, wouldn't a megastructure be plausible? KitemanSA wrote: Does anyone know where the system's planetary orbit plane would be? If it aligns with our sun, wouldn't a megastructure be plausible? Apparently the "implausibility" is the speed at which the structure grew... if it is indeed an artifact. You'd think that humanity has rammed full tilt headfirst into the exponential function often enough to know better. zapkitty wrote: Apparently the "implausibility" is the speed at which the structure grew... if it is indeed an artifact. If they (the aliens) have been at it awhile this one we see could just be the leading edge of a mega-swarm of dyson constructs around 100's or even thousands of stars in the area; the odds of detection would therefore be pretty good; some are bound to be oriented our way. Much better odds (probably orders of magnitude better) than an improbable random swarm of comets type event that just happened to be detected in the insanely narrow time/space margin of the Kepler mission. And if they (the aliens) have been doing this awhile they would be very efficient & practiced at doing it; explain maybe a 3.5% expansion in just 4 years. Has anyone see any monoliths around? People are ignoring the possibility that this is a Shkadov engine https://en.wikipedia.org/wiki/Stellar_engine instead of a Dyson sphere. If interstellar travel takes millennia, then no spacecraft is reasonable to get to another star system. Instead, you build lots of small solar sails hanging over one region of a star. They sit in equilibrium, not falling closer, not getting further out. This continuous mass on one side of the star begins to accelerate the star (very slowly) which pulls its planetary system along with it. Now you are using your whole star system as your spacecraft, so taking a millennium to reach a new star system may no longer be a problem. You get to live comfortably on your home planet, while you move your whole star system where you want to go. jnaujok wrote: Now you are using your whole star system as your spacecraft, so taking a millennium to reach a new star system may no longer be a problem. You get to live comfortably on your home planet, while you move your whole star system where you want to go. Yes...but sometime the point is to move away from home, strike out on your own; move out of mom & dad's house and make your own way in the cold cruel world (universe). paperburn1 wrote: Pierson's Puppeteer, ? "Sins of the Fathers" by Stanley Schmidt comes to mind. But I think both the Puppeteers and Schmidt's aliens were just moving the planets, not the entire system. Should I point out that Larry Niven's Ringworld would only block light on its ecliptic. The Dyson Sphere was proposed in the realization that Niven had not gone far enough, and was wasting most of the solar output. When it was pointed out that the Ringworld is inherently unstable, Niven added .... ahem ... Bussard Ramjets to stabilize it. So we've now justified this thread on a Bussard Polywell forum. Personally, I doubt any civilization would build a rigid structure such as a ring or sphere around their sun for this very reason. But nothing stops them from intercepting most of the sunlight with orbiting collectors. The question is, would they rely on solar energy at that stage of development, or come up with something better. Both Niven (for the Puppeteers) and Schmidt (Sins of the Fathers) thought they would leave their suns behind, and use other energy sources. Puppeteers are a secretive race that manipulates the galaxy in Larry Niven's mainline future history, including the Ringworld series, to their own benefit. They are abject cowards. They have concealed their homeworld, including moving it thru interstellar space. They genetically engineered humans to have luck. Last I knew, the Dyson sphere came first--Niven suggested it as an intermediate between spheres and planets.